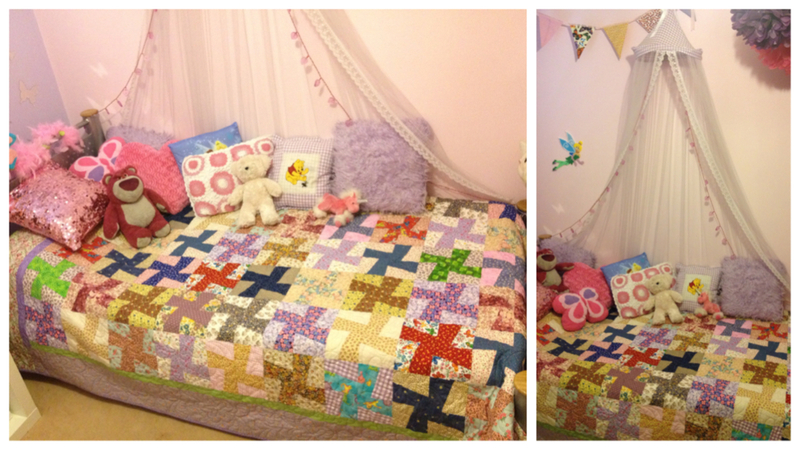 I finally finished Tasha's quilt! 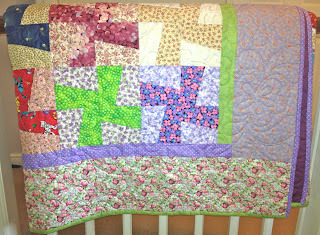 It is a floral scrappy quilt made with fabrics I had been collecting for many years, some were bits that my Mom had bought a long time ago and are around 20 years old. Last year I decided to make each of my kids a quilt for Christmas, but it turned out that I bit off more than I could chew (I keep volunteering for things like church halloween parties and making nativity costumes, etc. I really need to learn how to say no. But it is so much fun!) 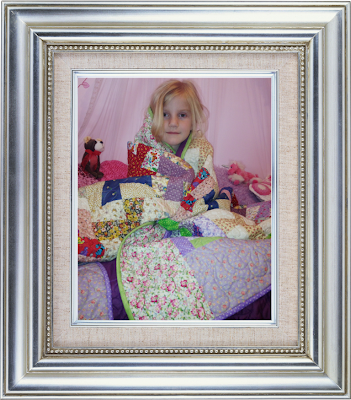 They did get their quilts for Christmas in the end, but they were, unfortunately, unfinished. 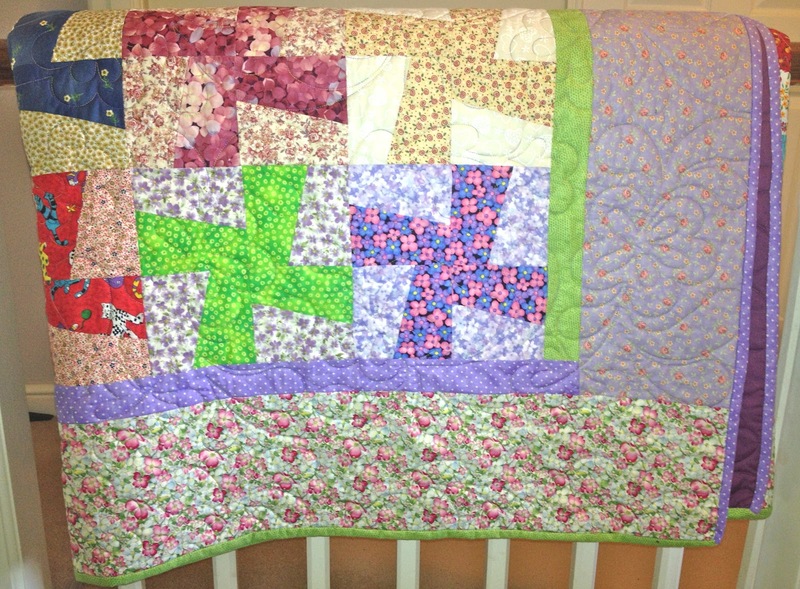 Then I hurt my knee, my precious sewing machine had a fatal accident and had to be replaced and I had the pamper party to do... so, after many delays, this one is now done and I just have to do the hand finishing of the binding for Jon's quilt. Better late than never! What a cute little girl! I'm sure she loves her quilt. I wish I could do things like that - I think I should stick to baking!